The United States’ exit from its costly 10-year war in Afghanistan has begun. This is a welcome step, but will it be peace with honour? That’s far from certain with so much remaining unclear with the longer-term outlook. Two recent developments have certainly changed the picture for the better, if not yet as radically as some would like. First, it has been announced in both Washington and Kabul that talks with the Taliban leadership, or at least contacts of some sort, are underway. German mediators are thought to be playing a role. Secondly, US President Barack Obama has announced a fairly bold timetable for US force withdrawals, defying some of his hard-line military advisers who had argued for a more cautious drawdown. 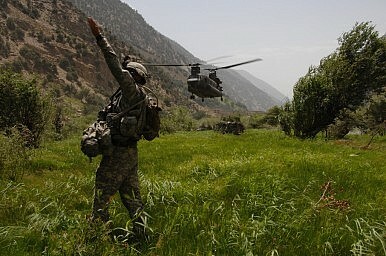 Of the almost 100,000 US soldiers in Afghanistan today, 10,000 are to return home this summer, another 23,000 by September 2012 (in time to have an impact on November’s presidential election) and many of the remaining 67,000 by the end of 2014, when Afghan forces are due to assume responsibility for their country’s security. The fly in the ointment is that there’s talk of some 20,000 US soldiers remaining in Afghanistan stationed at permanent US bases. No doubt the intention is that they will continue to play a counter-terrorism role in both Afghanistan and neighbouring Pakistan. But this could prove seriously counter-productive, as it will arouse bitter opposition in both Iran and Pakistan (and no doubt in Afghanistan as well). But that is to look too far ahead. The current message from Washington is that US disengagement from the Af-Pak theatre of war has begun. Driving the withdrawal is the United States’ patent war weariness. US politicians of both parties have grasped that the American public is fed up with what has come to seem an unwinnable conflict, and it wants out. A deficit-ridden United States, wrestling with high unemployment and a crumbling infrastructure, can no longer afford the exorbitant cost of the Afghan war. The bill for the last decade has topped $450 billion, with $120 billion spent last year alone. Expenditure on the war is currently running at $2 billion a week. Obama is well aware that this must stop. But his policies are still plagued by contradictions and plain muddle. The dominant view in Washington is that the Taliban must first be weakened, if not actually defeated, before serious negotiations can succeed. This was the argument behind the ‘surge’ in US troop numbers, which Obama agreed to last year. But the Taliban have proved resilient. They may have fallen back here and there in the face of overwhelming US pressure, but their hit-and-run attacks and suicide bombings are more frequent and lethal than ever. They have also pushed their tentacles into northern provinces well beyond their Pashtun heartland. Killing their leaders by missile strikes may raise a cheer, but it has resulted in more radical commanders taking over, younger men even less inclined to negotiate than their elders. In a word, the policy of ‘kill them first and negotiate afterwards’ has been a failure. Al-Qaeda has had a difficult year with the loss of bin Laden and other senior leaders. But discounting it as a threat would be dangerously premature.